If you value your home, you will strive to keep it in tip-top condition at all times. Every now and then, it should get a thorough cleaning to maintain its beauty and extend its lifespan. 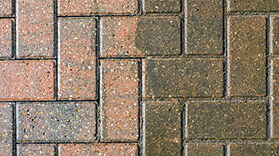 Pressure washing is one of the most effective ways of getting this done. Our team know the ins and outs of the trade. NICK’S Window Cleaning has been on a mission to deliver power washing services North York property owners can genuinely call exceptional. We come with full insurance as well as WSIB coverage. Although our services are the best in the industry, you will be delighted to find out just how affordable they are. With NICK’S Window Cleaning, your commercial property is in safe hands. We know just how important your business is to you and that is reflected in the professional manner in which we handle every cleaning job. Our team are not only experienced but are friendly and eager to help. We don’t just deliver a service but we aim to give you an experience you will never forget! To deliver power washing North York homeowners can find dependable, only the very best equipment can be used. Our over 10 years of experience in the field enables us to pick the best equipment that technology can offer. We will get the job done, fast. And any part of your home. A clean and beautiful home is not too far away. Give the pros a call today and revitalise your home! Pressure washing is not a job for the untrained. By attempting to do your own power washing, you risk damaging your property. It’s also common for people to injure themselves while trying to handle pressure washers when they shouldn’t. To make matters worse, your insurance policy most likely does not cover damages you cause yourself. This is why you are better off leaving the job to trained experts. NICK’S Window Cleaning comes with the requisite experience and training to get any cleaning job done without any risk on your part. We’re fully insured so you can rest assured your property is in safe hands. Keeping your property clean not only sustains its beauty but also keeps its value up. Should you decide to sell, the curb appeal will be a huge determining factor of the price people will be willing to pay for it. But even without the selling, isn’t it just great to treat your family to a nice looking, germ-free home? Many parts of your property can use a pressure washing service but the following 3 really need it. Roofs: The roof is an important part of your property. It not only has to be kept structurally sound but it also has to look appealing always. A neatly constructed and clean roof can go a long way in improving the curb appeal of your property. But keeping it clean by ordinary means is no walk in the park. Your roof is an easy victim of moss, mildew, and other contaminants that end up threatening its longevity besides diminishing its beauty. A good pressure-wash by a qualified professional might save your property from all this. It doesn’t take much. In a short time and on a friendly budget, you can have your property’s roof restored by knowledgeable experts with top-of-the-range equipment. Driveways: Grime, algae, and grease can take a toll on the appearance of your driveway. The pollutants can be unsightly. But that is only one side of the coin. On the other side, these actually weaken the surface of concrete and other materials. A good pressure wash can get rid of months of accumulated grime, grease, and algae in a matter of minutes. But such a short time of work can translate into serious benefits for your property and your pride as a family. 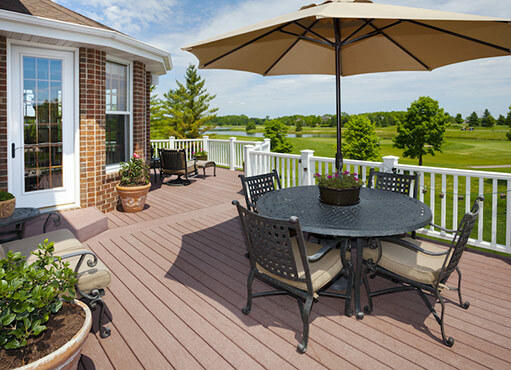 Patios: Patios can be made using a wide range of materials such as concrete, brick, exterior tile, and mortared stone. But whatever material graces your patio, it is still susceptible to dirt accumulation. Not only does that reduce its beauty but it also shortens the lifespan of the materials. Giving your patio a regular power wash can save you money on repairs by prolonging its life. But do not take the risk of doing the job yourself. Pressure washing requires trained hands to avoid injury and damage to property. For your safety and that of your home, give the pros a call, sit back and watch them get it done!